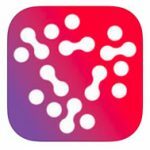 In a move to reduce paper, provide plenty of information and enhance communication, you can download a conference app to your phone or tablet. In addition to the program and speaker information there’ll be a host of other features to support your conference engagement. Not into apps? We’ll have a simple paper program for you. 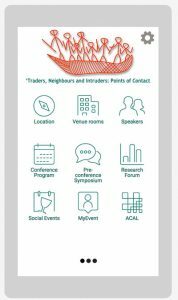 Or you can go the ACAL conference website (where you are now) and see the details. 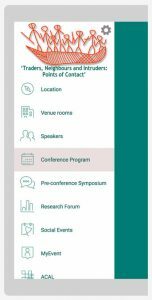 Here’s what you’ll find in the Conference App. Location provides information and maps about the Darwin Convention Centre and Charles Darwin University. Venue Rooms tells you about … well rooms at venues. Speakers tells you about our keynotes speakers (tap their name for more information). Conference Program covers the two days – at the top of the screen there’s two tabs, one for each day. Tap on a session for more details, Bookmark it to build your own program. Pre-conference Symposium – Tuesday’s event – you can tap and swipe for details. Research Forum – Friday’s event – again you can tap and swipe for details. Social Events gives you information about the screening of ‘In My Own Words’, our visit to the Deckchair Cinema and Mindil Sunset Market. MyEvent is where you can see the collection of sessions you bookmarked earlier. Weather – where’ll you’ll find information about – yes, the weather (Tip: it’s invariably a top of 31, 32 or 33 degrees). Evaluation – a chance for you to tells about your experience at this conference and provide some guidance for the 2018 conference. ACAL – yes, that’s us. Don’t forget – you may also need to tap or slide or use the back button. Fat fingers, technophobes and others – there will also be a simple printed program.